My journey with breast cancer began in June 2013. I was 43, felt fine, and didn’t even have a primary doctor because I never went to the doctor. But something wasn’t right, I had a knot under my arm, skin irritation, and it was felt warm to touch. I finally got the courage to go to the doctor and was immediately sent next door for a mammogram. Then I waited through the longest weekend. I knew before the doctor even told me the results but it became real when the doctor said those words, “You have breast cancer and we are referring you to the best.” The appointments immediately started – oncologist, breast surgeon, plastic surgeon, surgery for port placement. I completed six rounds of chemotherapy prior to having a bilateral mastectomy. Nothing prepared me for the call from the surgeon that told me that 13 out of 13 lymph nodes that were removed showed to be positive for cancer. How far had it spread and what was next? Radiation was next along with another four rounds of chemotherapy. Several surgeries followed as I started reconstruction. There were many hospitals stays due to infections – my friends laughed as I referred to them as my resort visits with room service. Then came complications. Due to my weakened immune status I had difficulty healing and was referred to a wound care specialist, which in turn led to months with a wound vac, home health care nurses, and more infections. At the beginning of my journey I was assigned a nurse navigator that was my saving grace. She helped me overcome my anxieties by navigating me through the process. She would meet me at appointments, follow up with me after procedures, and just listen to me cry when I didn’t know why I was crying. 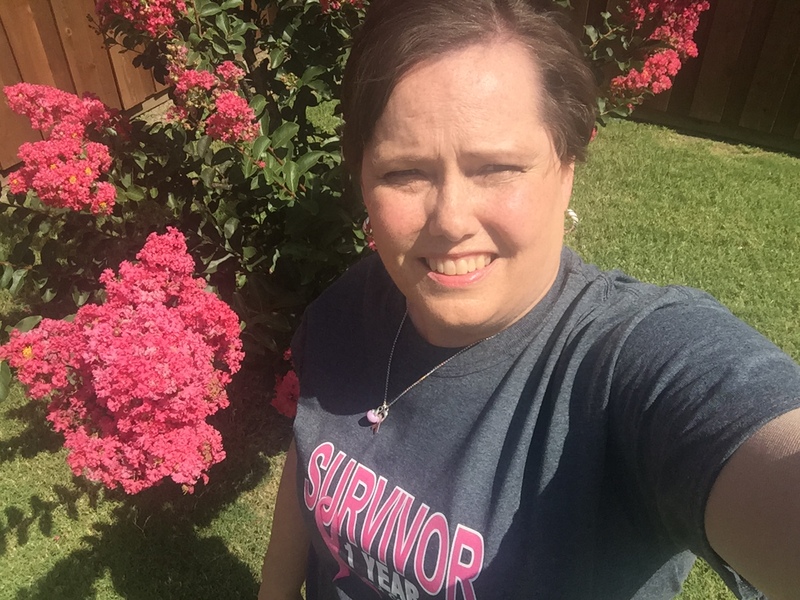 She was a survivor and gave me comfort by sharing that I could be too. If you are fighting the fight, or supporting someone who is, my advice is to be open and accept help. That was hard for me because I didn’t want others to see me as weak or unable. My family never left my side. A friend told me to stop saying, “I’m fine.” She told me that I wasn’t and that it was okay. You are never alone and allowing others to help you will allow them to cope with the emotions they are experiencing. Cry when you need to cry but then wipe your tears, straighten your crown, and carry on.